Paneristi world wide celebrated their shared passion in Firenze (Florence/Italy) this year, during the P-Day 8 event. The Panerai forums are flooded with pictures, like every year after the event.?Ç¬? Although not having?Ç¬? a Panerai in my current collection, I still have lots of love for this brand. After owning a Panerai 113 and a Panerai 000 Logo, it still itches every now and then. Especially now that Panerai has great inhouse movement models (like the Panerai PAM 00312), for decent prices. Dutch Paneristi Martin Wilmsen, also known for his blog www.wristwatchphoto.com, has this great website PaneristiPix where you can find great photographs of Panerai, Paneristi and their famous get-to-gethers. 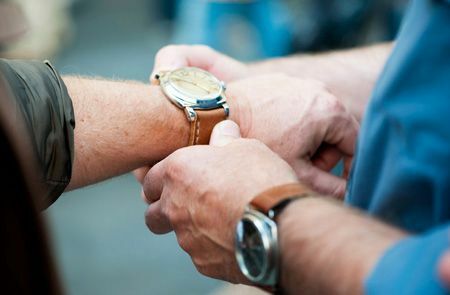 Besides PaneristiPix.com, make sure to visit the mother of all Panerai sites, www.paneristi.com for some great photo stories about P-Day 8.